The Chairperson of the Center for Victims of Human Rights Violations in the Gambia Sheriff Kijera did not mince his words during the launching of the TRRC Commission. Mr. Kijera who was speaking at the launching stole the show when he faced the President directly in his face and told him what many would not dare to say to a sitting leader in front of a whole nation. However, Mr. Kijera who has been in the forefront of the registration of over one thousand victims of Yahya Jammeh’s regime at the center was bold and direct in his speech. He hailed the creation of the TRRC as a great day for victims who have been waiting for justice for far too long. Mr. Kijera said the victims who did not know who to turn to for redress have finally have a “glimmer of hope” base on the Establishment of the TRRC. He emphasized that the TRRC is significant to the victims because it will help them go through their mourning, to know the truth and establish responsibility of impunity and to end human rights violations of citizens. Chairman Kijera painfully narrated how victims are still in search of their love ones not knowing how they were killed or disappeared or even if they were buried. He said this makes it difficult for the victims to cope and overcome their trauma. They are hopeful that the establishment of the TRRC would finally bring justice or establish the truth to what happened to their love ones. Mr. Kijera underscored the registration of victims and said the full extend of the abuse of victims can hardly be fully comprehended. The courageous chairman said victims suffered terrible human rights violations and their expectations of the commission and what it will do for them is very high. He challenged the TRRC to live up to its obligations by fully informing the Gambian people of its mandate and what it will be doing for victims. Chairman Kijera without mincing his words said former President Jammeh was aided by a web of perpetrators. He said “However it is disappointing that institutional reforms has not be quite methodical as it was supposed to be; alleged perpetrators and enablers of atrocities committed under the Jammeh regime still find it comfortable holding lucrative positions in government while victims continue to suffer indignity of experiences of inhumane and degrading treatment with their deteriorating health conditions which the government completely ignored and failed to address”. The emotional chairman received a loud applause from the audience for being so frank with the truth. One could see the attention and uneasiness of the audience some sitting on the edges of their seats while listening to him. He stroke a nerve of the truth standing right there in front of the President. He said “it was about time we play fair and be responsible highlighting that the widespread abuse was across all institutions in the country. Mr. Kijera commended the government for establishing the transitional Justice project and he called on all Gambians to support the commission and the government in delivering justice to the victims. He also commended the Justice department and its staff for doing a great job in establishing the commission. In a frantic note Chairman Kijera turned to the President and Said “Mr. President certainly you will vacate the office one day. You do not want to be escorted out of your dear mother land like your predecessor. We do not want to set up another TRRC after you leave office. We do not want to set up another Financial Commission to investigate the dealings of a former President. We want to love you as we always did when we elected you into office December 2016”. At this point, Mr. Kijera turned to the President to deliver his point directly to Barrow. The President appears to nod his head in acknowledgement of the message and even attempted to clap for the comments along with the audience. In concluding, Chairman Kijera said “Mr. President there is always life after the Presidency and that retirement is earned through good governance, transparency, accountability and upholding the cardinal processes of due process and the rule of law” He emphasized the Center’s support for the government and pledge their support for the TRRC to deliver justice as expected. Chairman Kijera said the Gambia must never experience such again and together we must say never again. His speech was somber but delivered with candor, confidence and without mincing his words. It was certainly the speech of the event which saw former supporters and enablers of the dictatorship comfortably addressing the crowd notably the current prosecutor of the ICC who ignored Gambia’s plight during the dictatorship in lieu of holding on to her position. She dares to give a speech supporting the victims part of which she previously denied as a case worthy of address by her powerful institution. 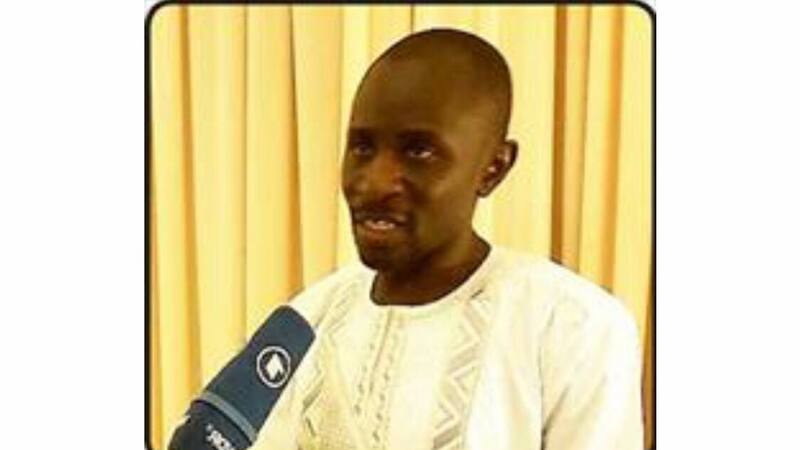 Mr. Kijera’s speech was representative of the feelings of many Gambians especially victims of the former regime.